Are you looking to replace missing teeth and are unsure of which type of restoration is best? There are many benefits of having dental implants over traditional restorations such as dentures. 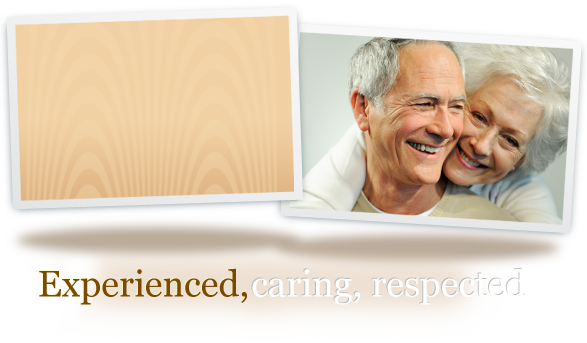 Fort Myers restoration dentist, Dr. James Mitchell specializes in the placement of dental implants. Using Nobel Implants he replaces the destroyed or missing tooth root with a secure titanium screw. Once this stable base is created and fuses with the bone, Dr. Mitchell can then create the natural looking restoration using the one-visit Cerec system. This procedure is useful for replacing one tooth, multiple teeth, or even a full arch and can last a lifetime. On this page, we have included a brief description of dental implants as well as more detailed descriptions of the different types of dental implant restorations we offer. We hope this information is useful in helping you decide which type of restoration is right for you. X-rays and impressions (molds) are taken of the jaw and teeth to determine bone, gum tissue, and spacing available for an implant. While the area is numb, the implant will be surgically placed into the bone and allowed to heal and integrate itself into the bone for up to six months. Depending on the type of implant, a second surgery may be required in order to place the “post” that will hold the artificial tooth in place. With other implants, the post and anchor are already attached and placed at the same time. You will receive care instructions when your treatment is completed. Good oral hygiene, eating habits, and regular dental visits will aid in the life of your new implant. Don't wait, call (239) 204-5338 to schedule an appointment or fill out our contact form on this page.